How Much Republicans Who Sold You Out to ISPs Made From This Deal? Voting to reverse a landmark FCC privacy rule, Republicans in both the Senate and Congress decided that it was okay for ISPs to sell consumer data without user consent. Except for unfairly equating internet providers to tech companies (whose services and products users are not obliged to use all the time they are on the internet), lawmakers couldn’t provide any credible reasoning behind this decision. How is this repeal in favor of Americans, then? It is not. The decision only favors companies like Comcast, Verizon, and AT&T, which appear to have been feeding money to the members of Congress who just sold out your data. The 265 congressmen who voted in favor of this repeal are now richer than they were before thanks to the telecom industry. 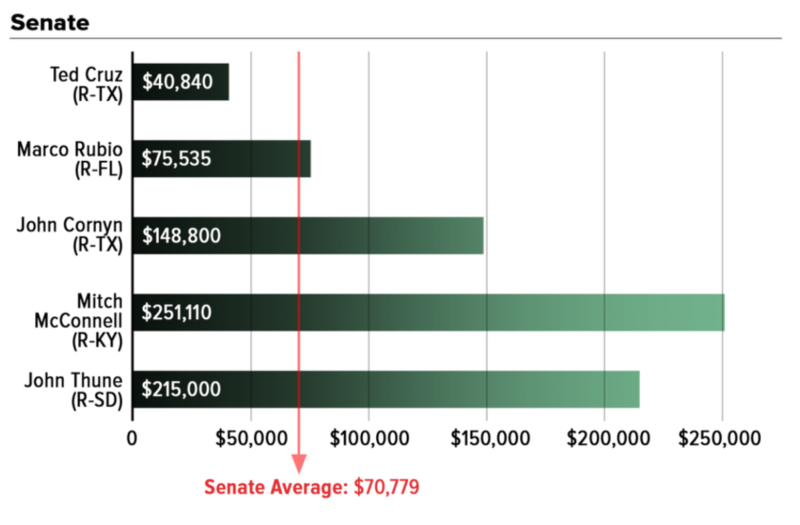 Data collected by the National Institute on Money in State Politics (reported first by the folks at The Verge) shows how much those lawmakers collected from telecom corporations or their employees in the most recent election cycle. This data confirms that the industry has invested huge amounts of money by paying these politicians who just voted to give these corporations unlimited powers to track you on the internet and then sell this data. 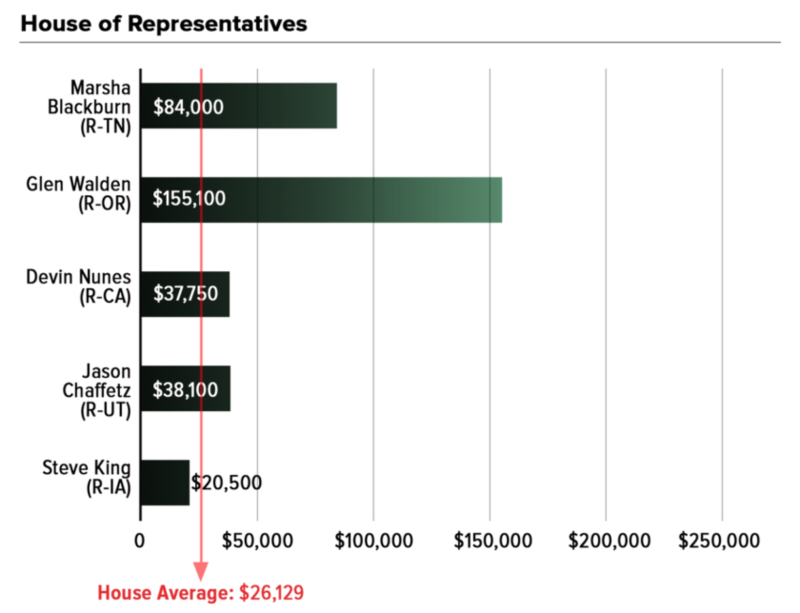 The Verge noted that this data of “donations” only reflects the candidate’s most recent election, as many of them have received much larger amounts of cash over the course of their career in Congress. Users, privacy advocates and everyone else has long fought the tech companies to stop handing over user data to governments and advertisers. However, one big difference between SV companies and ISP giants – primarily the big three – is that unlike Facebook, Apple, Google and others, ISPs can track every single activity you engage in online. Facebook can only collect information when you choose to use its services, Apple can only do so when you are okay with using the offered services – you have NO choice when it comes to ISPs, since everything goes through that door. It is not unprecedented for the US government to pass pro-surveillance or anti-users policies. As reported several times and seen in various leaks, previous governments have engaged in unjustifiable levels of spying and surveillance – both at home and abroad. However, what makes this decision different is that this time the lawmakers cannot tell you with a straight face that they are doing it for “national security” – the buzzword they have been using for the past two decades. Nothing good can come out of giving user data to ISPs and no one can justify such a rule to internet users, regardless of where they fall on the political spectrum. It is almost mind-numbing then that so many people will so openly disregard citizen interest in favor of big corporations, without even pretending to give two hoots about any valid justifications. Indeed, there’s no minimally persuasive rationale that can be concocted for this vote. It manifestly has only one purpose: maximizing the commercial interests of these telecom giants at the expense of ordinary citizens. It’s so blatant here that it cannot even be disguised. It illustrates – for those who haven’t yet realized it – who actually dominates Congress and owns its members: the corporate donor class. 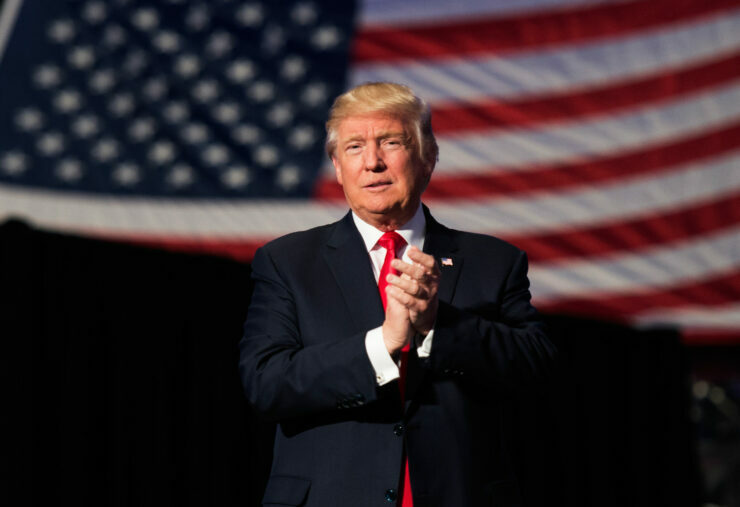 Right now it’s only for President Trump to sign and seal the deal, who – if we are allowed to hope – might decide not to sign it. For those of our readers who are still in the “but, I don’t have anything to hide” mode, head over to EFF to read what this bill could mean for your internet usage. 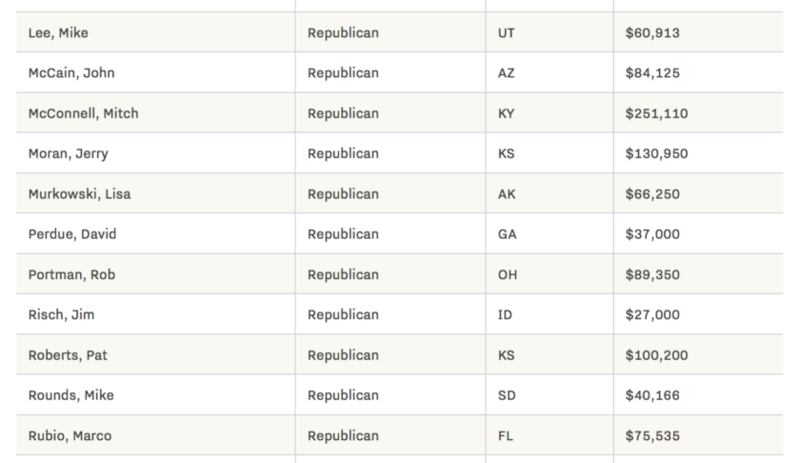 More data on how much it took for corporations to make your representatives sell your online identities can be accessed on the National Institute on Money in State Politics.